THE annual state-wide ANZAC Day and school-holiday road blitz began on Wednesday and sees increased numbers of police patrolling all major traffic routes. During day one of the operation, police have issued 699 drivers with tickets for speeding and conducted more than 29,000 breath tests resulting in 13 drivers charged with being under the influence of alcohol. About 4.40pm on Wednesday, police stopped at 21-year-old motorist on Bellambi Lane for the purpose of a random breath test. A check of the man’s licence revealed he had already been disqualified from driving until 2015. Operations Commander of the Traffic and Highway Patrol Command, Superintendent Stuart Smith said it is crucial drivers continue to keep their minds on the job. “With increased holiday traffic across most of the state over the next few days, I am urging all motorists take regular rest breaks and drive to the conditions,” Supt Smith said. 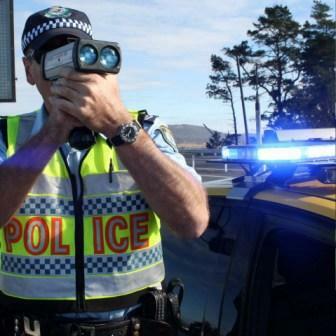 “Drivers are also reminded that double demerits remain in place until Sunday night, so being caught for speeding or other traffic infringement could see you lose your licence. “With the end of school holidays approaching, it is also important vacationers start planning extra time for their return journey so that it can be done patiently and safely.